Am promis ca revin cu detalii despre press trip-ul din Milano, la invitatia Samsung, asa ca m-am pus pe scris. Ce m-a mirat a fost ca din primul moment m-au rugat sa iau cu mine in bagajul de calatorie si un echipament de miscare. Hmm…inedit, mi-am zis, si chiar am intuit corect. Pentru ca cele 2 zile petrecute alaturi de echipa Samsung, jurnalisti si bloggeri de lifestyle din intreaga lume, au fost cu adevarat inedite. Am profitat de prezenta la acest eveniment ca sa ii iau un interviu lui Luke Bache, maestru yoghin, special pentru voi, prietenii acestui blog. EN: I promised I would get back with details from the Milan press trip, invited by Samsung, so here they are. What was intriguing was that they asked me in advance to pack some workout clothes. Hmmm…unique, I thought to myself, and I was right. 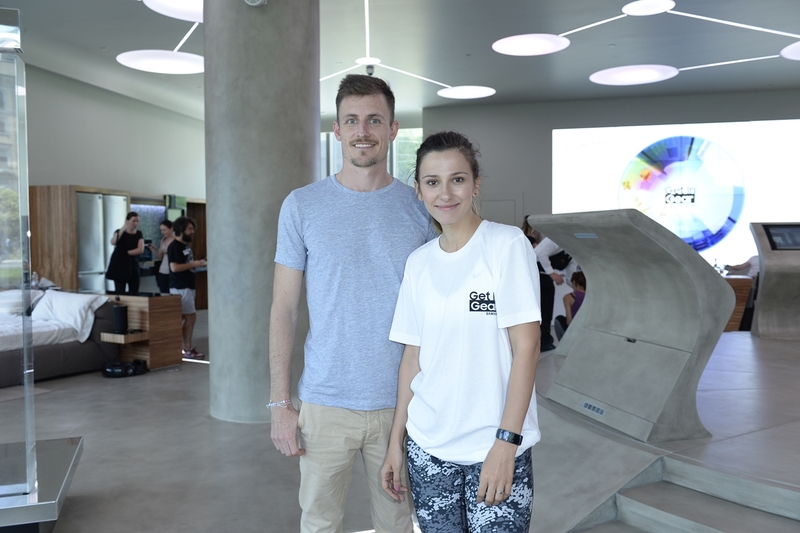 Because the 2 days spent with the Samsung team, journalists and lifestyle bloggers from around the world, were truly unique. Especially for you, friends of this blog, I took the opportunity to interview Luke Bache, yoga master.